Tom Cruise is ready to roll with "Mission Impossible 4," at least as executive producer and maybe as star. "Mission Impossible 4" is reportedly moving forward with two screenwriters now attached to the project. 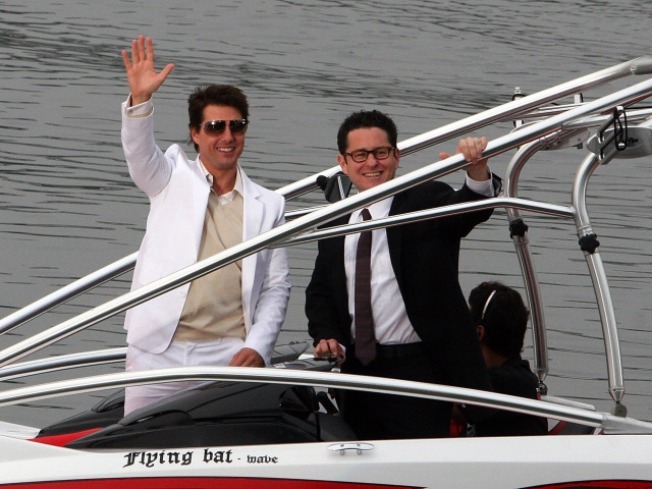 According to Variety, Paramount and producers Tom Cruise and J.J. Abrams have hired Josh Applebaum and Andre Nemec to pen the script. The writers spent four seasons writing for Abrams' "Alias." It's not known who will star in the fourth installment of the action flick, but acccording to Variety sources, Tom Cruise's character, Ethan Hunt, will be involved. "Mission Impossible 4" is shooting for a 2011 release.